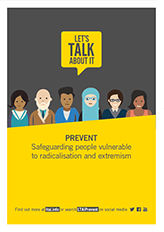 There are many varying factors that could make someone vulnerable to radicalisation. 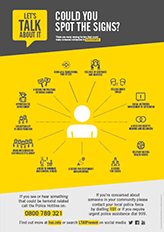 When we think about terrorism we often think of the attacks. 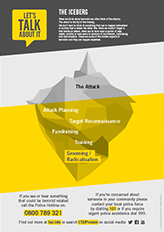 The attack is the tip of the iceberg. 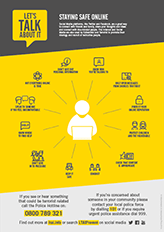 The Internet and Social Media are used by Extremists and Terrorist to promote their ideology and recruit or radicalise people. 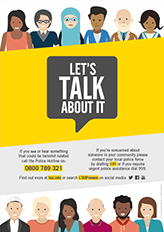 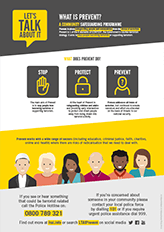 An overview of the Prevent Programme and what it aims to do. 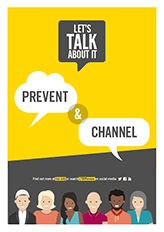 An introduction to the Prevent Programme including everything you need to know. 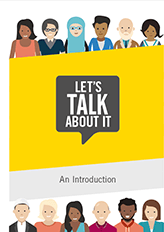 An introduction to Let’s Talk About It.